6000 satoshis itself cannot be withdrawn from the site, however if you bet and get to 100,000 Satoshi you could withdraw your funds. 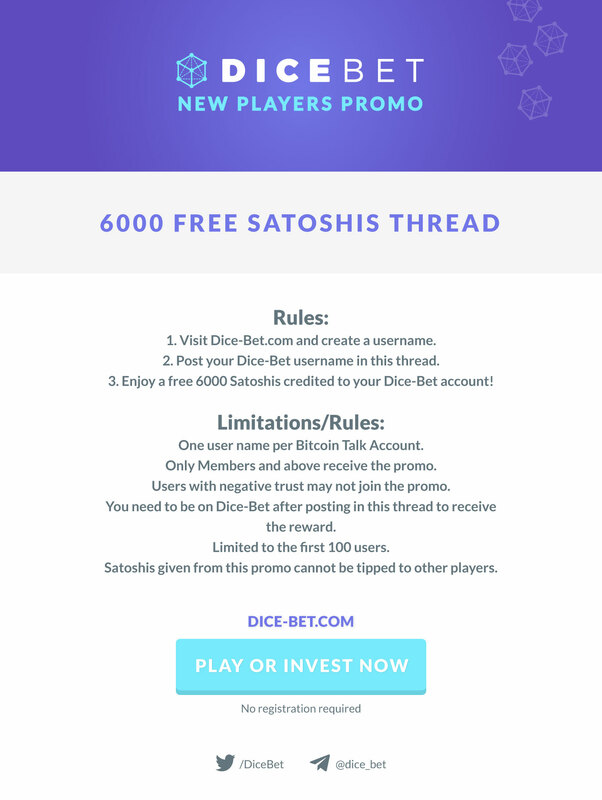 Dice-Bet is a new bitcoin, ethereum and litecoin gambling site that has one of the lowest house edges around of just 0.7%. They have a publicly funded bankroll that people can invest in to share with the sites profit and loss. Read out full Dice-Bet review here.